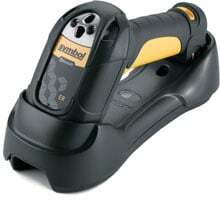 Symbol LS3578-ER - USB International Kit, 1D Laser, Cordless, Extended Range. Includes Charging and Communications Cradle, USB cable, Power supply. Requires country-specific line cord. See accessories. The Symbol LS3578-ERBU0100IR is also known as Symbol Technologies	SYM-LS3578ERBU0100IR	or LS3578ERBU0100IR	.